Xiaomi launched its first dual camera phone in India today named Xiaomi Mi A1. The device is priced at Rs 14,999 to compete with the phones in India like the Moto G5s Plus. This is the first ever Android One phone made by Xiaomi. Android One basically means that the phone will not run on the MiUi, rather it will provide pure Android experience to the users. It will also be one of the first phones to get latest released Android updates and security patches. The phone features the best budget processor from Snapdragon, the Snapdragon 625. It will have a 64GB internal storage to keep various Apps and photos. Since, it will run on pure Android, it will use Google photos to keep the backup of the photos and give the users unlimited cloud storage for storing their photos. It also comes with 4GB RAM to allow multi-tasking without any kind of issues. The phone features a fingerprint scanner and a dual lens camera module at the back of the phone. 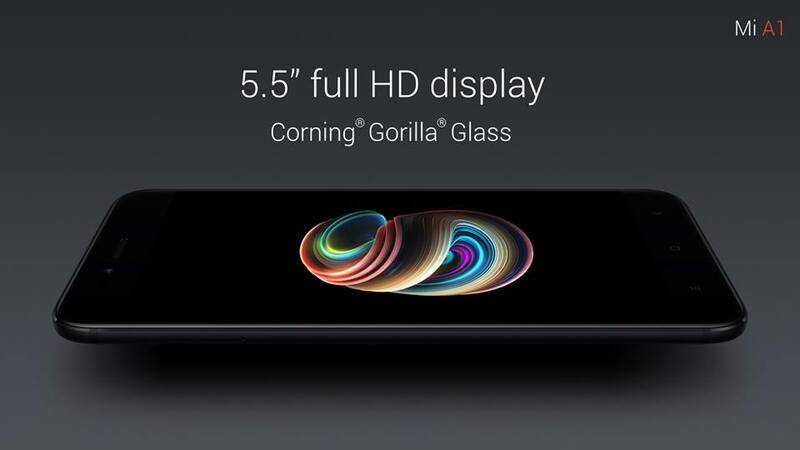 The screen of the phone is a 5.5 inch 1080p full HD screen which is protected by Corning Gorilla Glass 3. It also features an IR blaster like many other Xiaomi smartphones do. It has a dual hybrid sim and micro SD card slot which will allow users to either use two Sims or a Sim and a micro SD card if they need mopre storage. Since the phone runs on pure Android, it doesn’t have any bloatware. But Xiaomi managed to keep its Mi Store app on the phone. And since Google Camera app still doesn’t support dual cameras, it will use the camera app of its own. The phone features dual 12MP rear cameras one of which is used for 2X optical zoom and a 5MP front camera. The rear cameras will help capturing the photos in Portrait mode i.e using the bokeh effect. It also maintained the trend and uses USB type C for charging and other works. The dual cameras are not the only thing which is the center of attraction. They have said that they have given headphone amplifiers within the phone which will allow the users to experience the sound of headphones in a much better way. The phone will be available in two colors at first i.e the Gold and Black. But soon, it will also release the phone in Rose gold color. At first, the phone will be released in India but in the press conference, they showed a slide that showed it will release globally soon and Bangladesh’s name was also mentioned there. So, we will be getting the phone soon and by its specification and price, it seems that the phone will be good buy.